Of course, there’s a worry that white kids will just don a Black Panther mask and not think about the deeper cultural implications, especially for black kids who have grown up in a post-Blade world without African-American superheroes to call their own. Obviously, I can only speak as a white person, but as a kid, it was incredibly important for me to connect to other cultures through music and movies. I grew up in the late 1980s in a small Midwestern town that was predominantly white. Outside of Michael Jackson and Prince, I wasn’t exposed to a ton of black culture — until hip-hop broke through the mainstream. First, it was Run-D.M.C. teaming up with Aerosmith for “Walk This Way.” After that came Public Enemy, Living Colour, De La Soul and Ice-T’s metal band Body Count. Their music opened up a whole other world for me. Public Enemy frontman Chuck D wasn’t talking about partying or some girl who broke his heart: He was rapping about poverty, drug addiction, racism, economic inequality and a corrupt judicial system. These were completely new topics for my preteen brain to digest, and because they were communicated through exciting music, I absorbed them hungrily. Albums like It Takes a Nation of Millions to Hold Us Back broadened my perspective and made me question things I never had before. Like a lot of kids, I thought my worldview was the only one — rap music made me realize that wasn’t the case, and that I had a lot to learn. I don’t think I’m unique in that regard: Pop culture is always best used as a gateway drug to other cultures and other histories. And for a lot of white kids today, a movie like Black Panther could be their way of having their horizons broadened. They’ve seen tons of Marvel movies by this point, but Black Panther will expose them to Afrocentric culture — the wardrobes, the music, not to mention an entire society that doesn’t revolve around white culture. I’m also betting the film’s discussion of racial divides and the need to reach out to others who aren’t part of your tribe will sneak into their consciousness as well. To that end, Black Panther will hopefully help shape a wider, more curious and inclusive worldview. #1. Black Panther may be the least-interesting character in his own movie. Much has been written about all the ways that Black Panther differs from other Marvel movies — it’s more of a standalone film; it features a predominantly black cast — but another sharp change from the norm is its handling of the main character. It’s probably the first Marvel film in which the superhero lags behind the supporting players in how cool he is. This isn’t a knock on Chadwick Boseman, who was dynamite as James Brown in 2014’s Get On Up. But he doesn’t shine as bright as Nakia (Lupita Nyong’o), Okoye (Danai Gurira) or Shuri (Letitia Wright) — all warriors who are fiercer and funnier than he is. That’s also true of Michael B. Jordan, who plays Black Panther’s villain, a man with a grudge who’s more emotionally nuanced than the hero. In this way, Black Panther is almost a throwback to old-school comic book movies like Superman, Superman II and Batman, where the bad guys and/or love interests were often more charismatic than the main character. #2. Black Panther’s real name is easy to pronounce — unless you read the comics. Just as many viewers are becoming familiar with a “new” Marvel superhero — although the character was introduced in 1966 — so too are they trying to learn how to say his name. 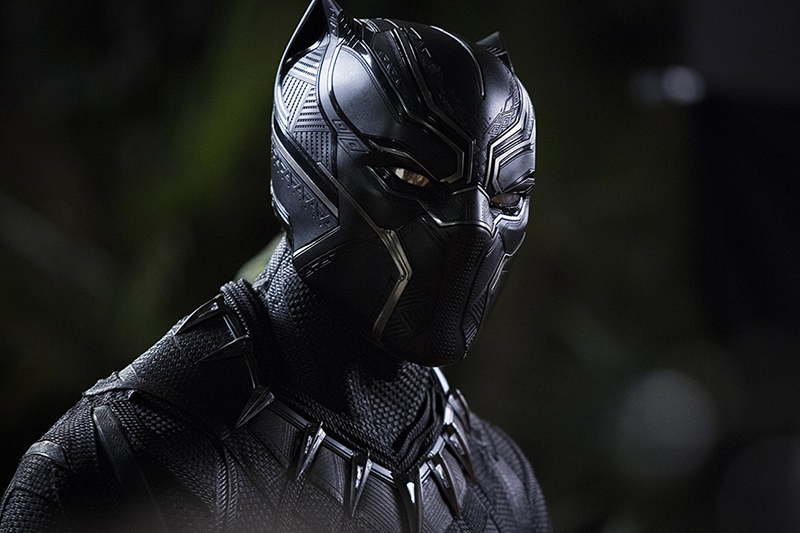 In the film, Black Panther is very rarely referred to as the Black Panther — his real name is T’Challa. But how do you pronounce that? Even Marvel hasn’t been consistent. Both in Captain America: Civil War and Black Panther, characters say ta-cha-lah, pronouncing the T. But for a short time, the comic books screwed this up. Comic Book Resources ran a piece in 2016 outlining the history of T’Challa’s shifting pronunciation — and it was all because of the man who was also instrumental in establishing the Black Panther character we see in the movie. Don McGregor, a white Marvel proofreader in the early 1970s, felt that the company’s all-white comic Jungle Action desperately needed some diversity. As McGregor recently told Vulture, “I kept saying to them, ‘I can’t believe you guys are printing this racist material in the 1970s. … It needs to have a black jungle character. Something.’” To improve Jungle Action, Marvel let him resurrect Black Panther, who had been mostly forgotten after his 1966 debut. Over a span of 13 issues, known collectively as “Panther’s Rage,” McGregor gave T’Challa more depth and helped create Erik Killmonger, the beautifully-named villain who’s played by Jordan in the movie. But more importantly, he shaped the world of Wakanda and its power dynamics, all of which can be seen in Black Panther. Bottom line: The movie would’ve never happened without McGregor’s initial vision. And yet, McGregor still dropped the ball at one point. 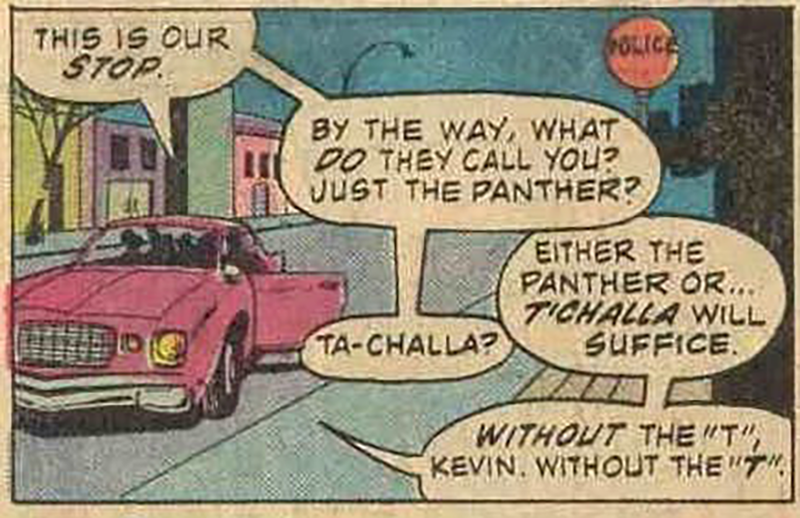 According to Comic Book Resources, the January 1976 issue of Jungle Action featured a panel in which T’Challa explains how to pronounce his name — and he says that the T is silent. The site says that the silent-T approach was adopted at Marvel for a while, but has since been corrected. So, remember: It’s ta-cha-lah, even if McGregor thought otherwise. #3. From here on out, you should probably assume that trolls will ruin every blockbuster. There are lots of problems with that argument, but all I’ll say is that, lately, nobody seems able to just enjoy a movie anymore. As soon as a blockbuster hits theaters, it becomes fair game for god-awful trolls to tear apart. Case in point: Black Panther has been out for just a few days, and I already can’t bear to see another thing about it online. To be fair, there are plenty of happy Black Panther stories out there in the media. The video of kids at Atlanta’s Ron Clark Academy finding out that their class would be seeing the movie was great. The news that Kendrick Lamar’s label, which put out the Black Panther soundtrack, was paying for 1,000 kids in L.A. housing projects to see the film was inspiring. Watching Boseman get emotional while talking about the friendship he cultivated with two young Black Panther fans battling cancer was really touching. And that’s to say nothing of the intelligent commentary by writers like the New Yorker’s Jelani Cobb and The Ringer’s K. Austin Collins about the significance of Black Panther. Look, everything enjoyable in life nowadays is dissected and ruined by online trolls, so it shouldn’t be a surprise that movies are, too. As a result, loving movies lately has required all of us to become those people who can’t understand why critics can’t just enjoy something — you’ve got to shut out the negativity to stay in your happy place. The good news is that Black Panther is troll-proof—a film whose meaning and importance is impossible to deny, no matter how hard the internet’s biggest assholes try.